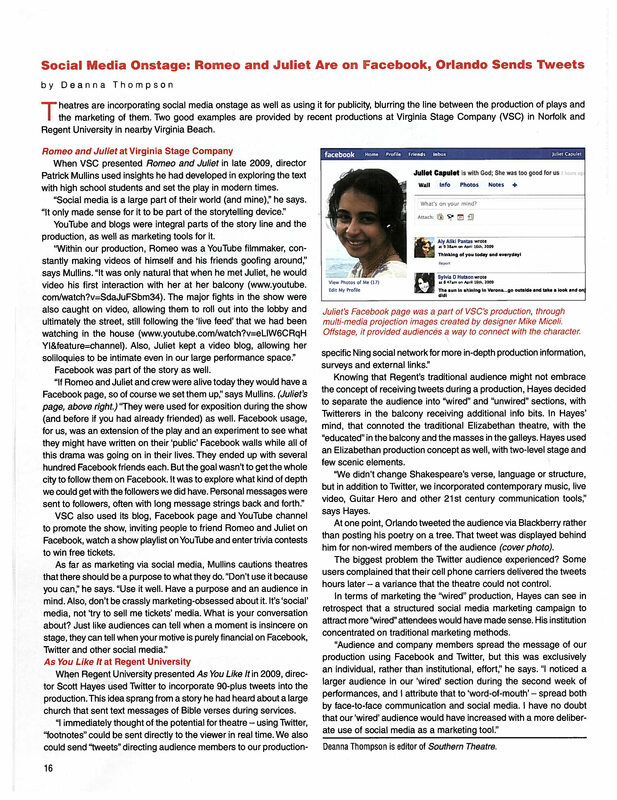 Southern Theatre magazine covers Virginia Stage Company‘s use of social media in their production of Romeo and Juliet. Multimedia Design by Michael Miceli of Miceli Productions HD. Many online videos try to communicate the trending of social media, mobile phones as the next dominant content delivery device and the general decline of traditional advertising. We feel this particular video stands out from the rest and is well worth sharing. Miceli Productions HD takes us ‘In The Studio’ to learn a little about 3D motion graphics using the recent Hartford Stage Broadway Legends TV Commercial which aired during the 2010 Tony Awards. Here Michael Miceli briefly demonstrates how a simple print poster can be animated to create a dynamic TV commercial.